Perfectly Placed Buttons on One-piece Cardigans, Every Time! When I was knitting my Modern Garden Cardi, I came up with a nice little trick to ensure my buttons were perfectly spaced to match the buttonholes. I'm sure I'm not the first person to think of this, but I hope it comes in handy for you! 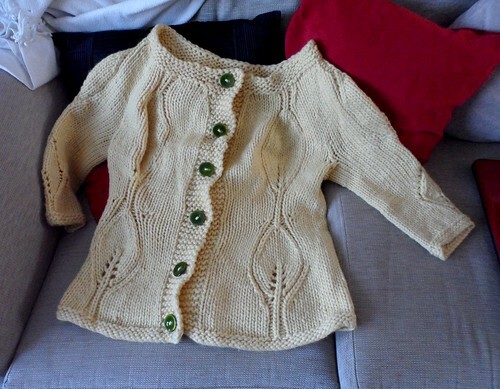 Note, of course, this trick only works for placing buttons on cardigans knit in one piece. If you're knitting the left and right sides of the cardi separately, or if the buttonband is knit at a different time than the rest of the cardi, this won't really work. But for top-down or bottom-up cardigans knit in one piece, it's a handy little trick. k2, yo, ssk, k to last 3 sts, p1, k2. 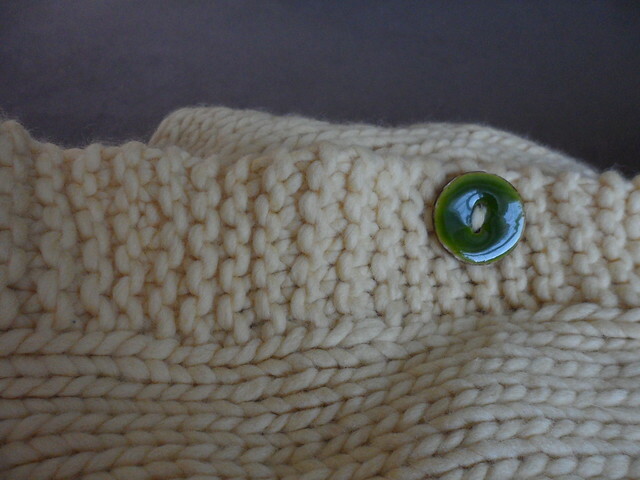 Since the purl stitch is on the exact same row as my button hole, it perfectly lines up. And since you're sewing a button on top of it, no one will be the wiser! And if your buttonholes are evenly spaced by number of rows, you'll know for sure that the buttons are evenly spaced, too. It saved me a lot of trouble when sewing the buttons on my cardigan. I hope you give it a try next time you're making a cardigan in one piece! Never worry about spacing your buttons properly again.